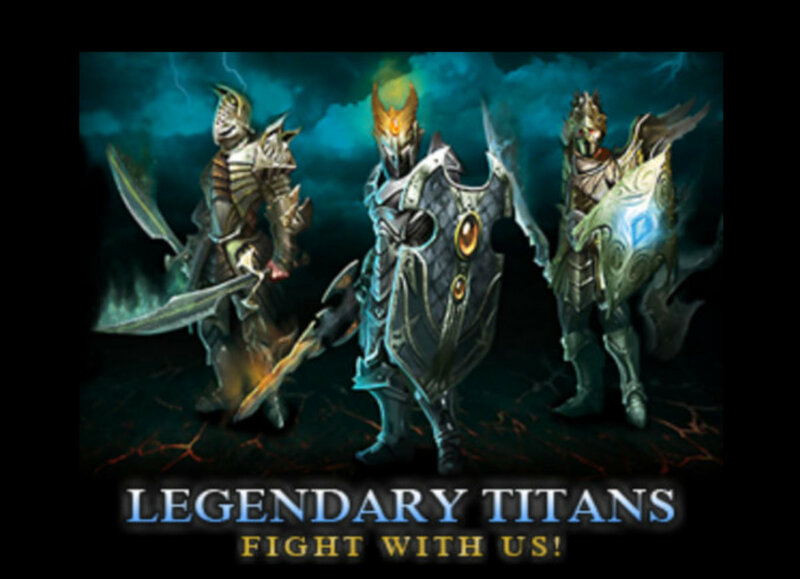 Legendary Titans is a role playing game where you send your character into arena, duel, cave, campaign, clan wars and tournaments to increase his/her stats, get rewards and have the privilege to brag your mighty strength. You will be facing legendary monsters from dragons, giant serpents, werewolf, higher wolf and a lot more.. 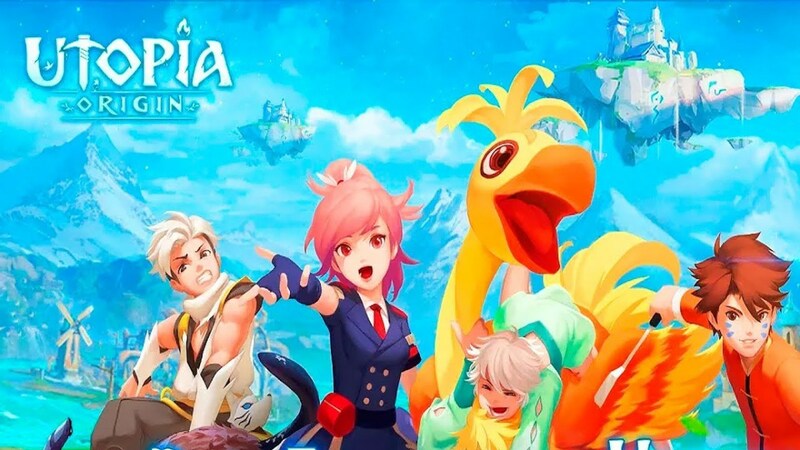 Equipped with strong (and cool looking) equipments, you will embark into a journey where only the strong and mighty will prevail and be called a LEGENDARY TITAN. This is the main screen of Legendary Titans. You will see a lot of options from mines (cave), meadows (campaign), arena, equipment shop, valley of the immortals, battles, get gold, sage's hut, coliseum, blacksmith (new), laboratory (new), clans (new), and hall of fame (new). If you enter one of this, another set of options will be available, so let's start the journey and discuss each option one by one. The enemies here are mainly bots. This is where you get equipments and ancient relics as a reward for every enemy you defeat. The stronger the enemy is the greater the reward you will get from your victory. This is where you will be facing other players' characters and each time you defeat a players character you will take his/her place in the league. The higher your place is, the bigger the bonus reward you will get. As the name implies, this is where you duel with other players for silver, experience, ratings and resources (after 5 victories). You have 10 duels and 1 duel restores every 2 hours and reward for 5 fights is only given once a day. You can fight with monsters on Wednesday, Saturday, Sunday. #1. Search for resources - Perform 2 searches of resources in the cave. #2. Sage's task - Complete 10 quests. #3. I need more gold! - Buy 100 gold and get additional 100 gold for free. #4. Gold secret - Buy 250 gold and get 200 gold for free. #5. Thirst for blood! - Kill 5 enemies in the valley of immortals. #6. Ancient altars - Take part in the battle for the ancient altar. #7. Gladiator - Take part in 3 coliseum battle. #8. Help your clan - purchase 500 gold. #9. Warrior - Take part in 10 fights in the league. #10. Legendary Warrior - Win 5 times in the league. #11. Campaign - Go camping for 5 hours. #12. Victories only! 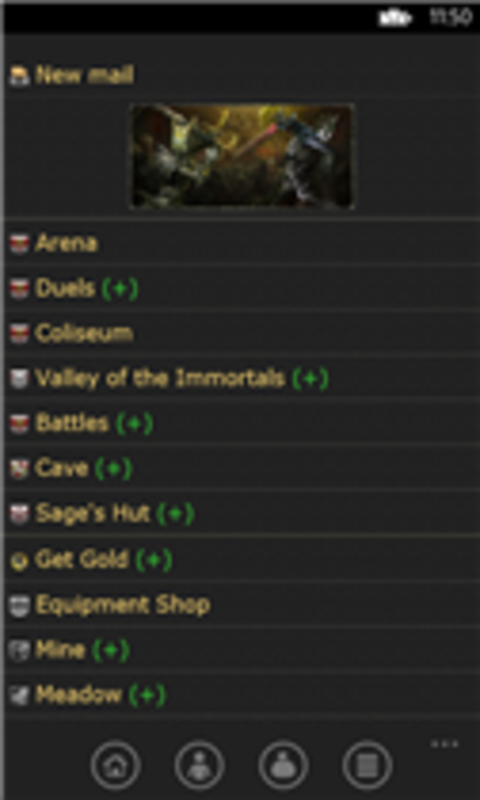 - Win succesively 10 times on the arena. Right now there are 9 medals that you could obtain on Legendary Titans. Each medal will give you 5% for every experience you gain and +10 to your stats ( a total of 45% experience and +90 to stats if you have all the medals). Below are the list of medals and how to obtain them. Every participant receives experience and silver. in the valley of immortals, you and other players will go to battle against hordes of immortals and at the end of the battle, top players who killed more monsters will have a bonus reward (another thing, each monster you kill is equal to 1 gold so defeat more monster as much you can). Player who kill the King of Immortals gets Divine item! A battle that only the clan leader could apply and it is up to you to join or not. This tournament is divided into 3 division and i will show you the list, their rewards and the price your clan should pay to be able to participate. Every time you fight here will increase your coliseum ranking, thus, increasing the rewards for higher rank you reach. For every win, you will be awarded with stars, which is needed for you to advance in the next rank. A place to buy your toon's equipments. There are 5 different types of equipments in the game and i will show you all types and the different sets. This is where you can improve your equipments. By sharpening your equipments, their stats will increase and thus making you stronger. Sharpening equipments needs a lot of resources, so hit the cave as much as you can. increasing the equipments quality wilk increase it's stats, 5% for every quality point. here you can find the treasures of the titans. You nerd a key to open this chests and i will show you where to find them. 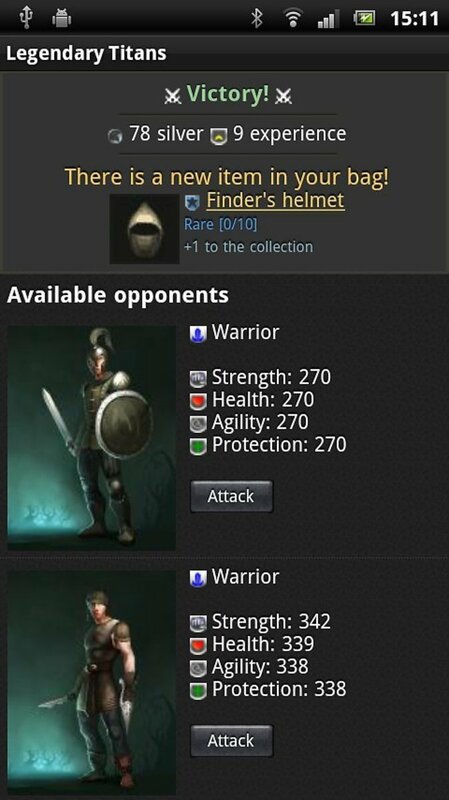 You can find here items that will enhance your character's strength. Enhancements that will increase your stats, XP and rewards. - if you are defeated you will still get 75% of XP and silver. If you buy an effect twice, the duration will be prolonged. A place to make your elixirs, which increase your charactet's stats. Elixirs give enhancements to your hero! You can buy tincture of courage here. You can go camping in order to earn silver. The longer your campaign is, the higher the silver you receive at the end. Here you can find all the clans in Legendary titans, their members and the clans rank. You can also create your own clan here or join a clan. You can find here the all the Titans there is. You can also all their character's info here. Yes.. I already stopped playing this game a long time ago.. Thank you very much for stoping by.. unfortunately i already stopped playing this game a long time ago..
hey. what about the Rest for 100 gold. what is it. what does it do..